As well as being a great technician with a keen eye for detail, Natasha is a fantastic Bassoonist. She was a finalist in the 2012 Auckland University Concerto Competition, and as well as being a regular member of the NZSO National Youth Orchestra, Natasha has also been involved in many other orchestral groups such as Auckland Youth Orchestra, Bach Musica, Musica Sacra and Opus Orchestra. Natasha joined ABI Music in 2008 as a part time trainee technician alongside her studies at Auckland University. 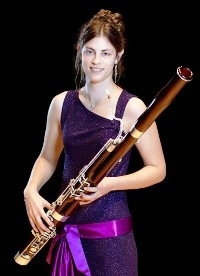 Since completing her Honours Degree in Bassoon Performance she has been working full time at ABI Music and has now completed her repair apprenticeship. ABI Music is delighted to have Natasha on board as our woodwind specialist.